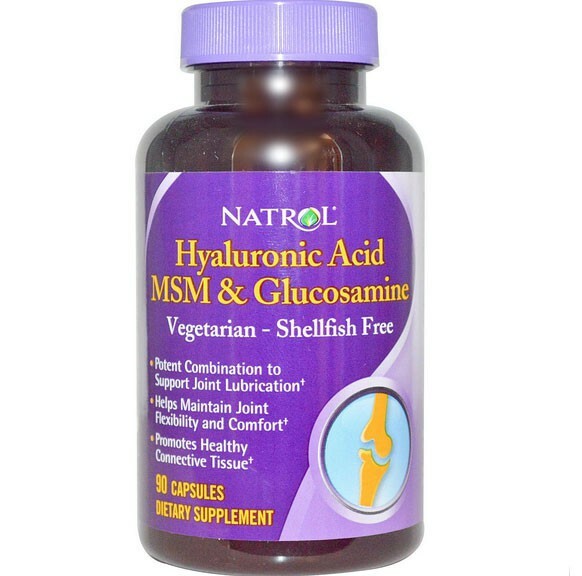 Natrol Hyaluronic Acid MSM & Glucosamine supports joint health with three compounds known for their joint-tissue benefits. 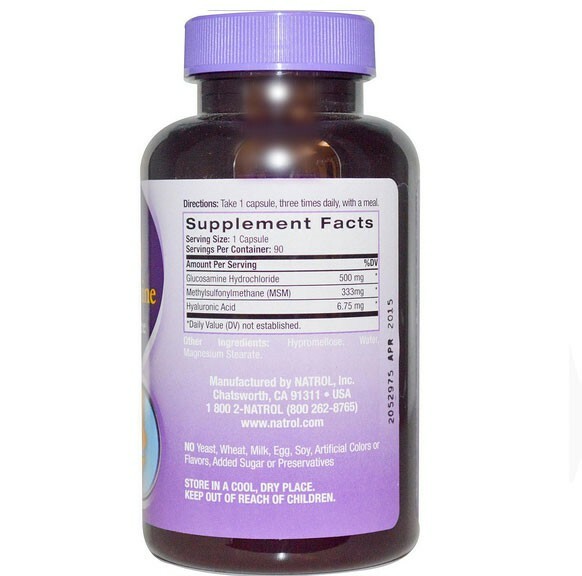 This powerful vegetarian triple-action joint formula contains: Hyaluronic Acid, Shellfish Free Glucosamine and MSM. 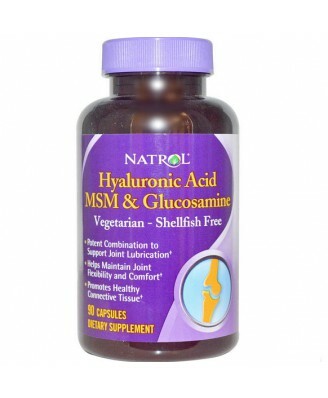 Natrol Hyaluronic Acid MSM & Glucosamine supports joint health with three compounds known for their joint-tissue benefits. 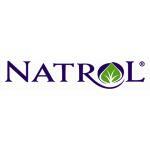 Hyaluronic Acid - a naturally occurring compound found in synovial joint fluid, vital for cushioning and lubricating joints. Raadpleeg uw arts vóór gebruik wanneer u een medische aandoening heeft of geneesmiddelen gebruikt. Gebruik dit product niet wanneer u zwanger bent of borstvoeding geeft.